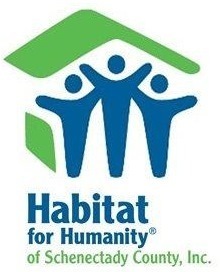 2018 Giving Gala Fundraising Campaign for Habitat for Humanity of Schenectady County, Inc.
A fundraising campaign for Habitat for Humanity of Schenectady County, Inc..
Join our annual Giving Gala, a spectacular community non-event Event! Remain at home, relax as you mix and mingle with family and friends. Must wear attire is comfy - toss the tux and gown - come cozy. Please give your heartfelt donation before December 31, 2018. Your gift to the 2018 Giving Gala helps to build homes, goes toward future building projects, builds ramps for qualified homeowners to ensure they remain safely in their homes through the new Ramp Up Program and supports our 2019 Veterans Build. It takes all of us to build a thriving community. Your generosity is greatly appreciated.